VOD: The global LIBOR scandal, ongoing for over two years, is just now hitting the pages of U.S. daily media such as USA TODAY. VOD has all along been publishing articles about LIBOR and the banks involved, including UBS, mentioned in this article. Along with ratings agencies Standard and Poor’s and Fitch, UBS foisted a $1.5 BILLION loan on Detroit in 2004, which has been a major souce of the city’s debt crisis since. Other banks mentioned here have also loaned money to Detroit. If Gov. Rick Snyder’s “Financial Review Team” is going to “pour” over anyone’s books (as Treasurer Andy Dillon misspelled the word in a press release), it should be the books of these banks. 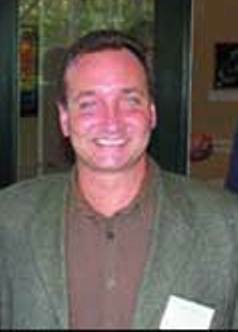 Tom Hayes in 2005 photo, worked for Citigroup and UBS before his arrest in London in December 2012 connected to the LIBOR probe. Financial trader Tom Hayes needed help with the Japanese yen as he worked in his Tokyo office on March 3, 2010. Hayes, who was a Citigroup employee then, messaged a friend at a brokerage firm and explained that his trading would benefit from a low Libor rate for Japanese yen — a reference to one of 10 currency-based rates British banks set daily based on their estimated cost of borrowing from each other. Would the broker ask a contact at Royal Bank of Scotland to submit an artificially low Libor estimate for yen the next day, thus helping keep the rate down? 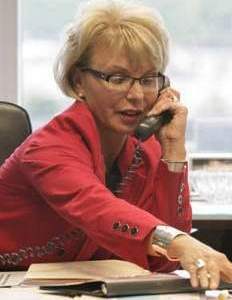 Sandra Pierce, chair of Detroit’s “Financial Advisory” Board, was previously CEO of Charter One Michigan. Charter One is a subsidiary of the Royal Bank of Scotland. “Any favours you can get … would be much appreciated,” the British-born Hayes messaged, according to transcript excerpts in a recently filed U.S. federal court record. “I’ll give him a nudge later, see what he can do,” the unidentified brokerage trader responded. “Thanks mate … really really would appreciate that,” messaged Hayes. Royal Bank of Scotland’s yen submission edged lower the next day. The brokerage trader messaged “good work!!! !” to the Royal Bank of Scotland bank contact, the transcript shows. The exchange is one of the first documenting the involvement of a trader at a U.S. bank in a widening scandal that so far has produced admissions of improper collusion from Royal Bank of Scotland, London-based Barclays and Swiss giant UBS. Collectively, the three have been fined more than $2.5 billion. Authorities in the U.S., United Kingdom, Canada and elsewhere are investigating the suspected manipulation because trillions of dollars in mortgages, loans and other financial instruments are pegged to Libor rates. A U.S. federal court complaint filed in December accused Hayes of conspiracy, wire fraud and other charges related to his trades between September 2006 and September 2009 while he worked for Royal Bank of Scotland or UBS before joining Citigroup. Hayes, who was arrested in England in December but remains free there pending further investigation, could not be reached. The Wall Street Journal reported earlier this month that Hayes texted “this goes much much higher than me.” A friend named Jennifer Arcuri said Hayes was cooperating with U.K. authorities, the paper reported. Citigroup spokeswoman Danielle Romero-Apsilos confirmed that Hayes worked for the global bank from December 2009 to September 2010, when he was fired over an incident that was reported to financial regulators. She declined to comment on that incident or Hayes’ exchanges in the March 2010 transcript, which was part of the court complaint against the trader and the deferred prosecution deal U.S. prosecutors reached with Royal Bank of Scotland earlier this month. 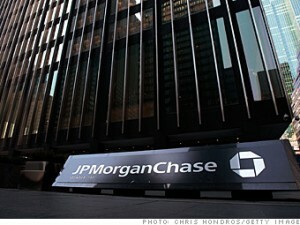 However, several U.S. banks are under examination by regulators and prosecutors in the interest-rate-fixing scandal. Citigroup filings with the Securities and Exchange Commission disclosed that it is cooperating with requests for information and documents from the bank’s subsidiaries. Citigroup also disclosed that its Global Markets group in Japan was suspended from yen trading between Jan. 10 and Jan. 23, 2012, because of communications between two traders involving Libor rates and a similar Tokyo rate. JPMorgan Chase reported in an August 2012 SEC filing that it had received Libor-related subpoenas and requests for documents and/or interviews from the Department of Justice and financial regulators in the U.S., United Kingdom, Canada, Switzerland and elsewhere. 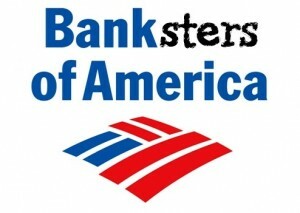 Bank of America similarly reported in August that it had received Libor-related subpoenas or information requests from the Department of Justice and financial regulators in the U.S. and United Kingdom. Both banks said they were cooperating with the inquiries. 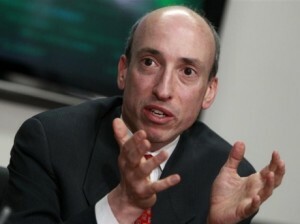 Gary Gensler, Chairman of the Commodity Futures Trading Commission. 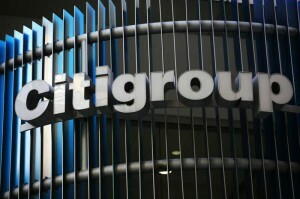 U.S. and global banks have also been barraged by putative class-action lawsuits over suspected Libor rigging. More than 40 cases, filed by cities, labor unions, financial funds and individuals, have been consolidated in a federal multidistrict litigation matter in Manhattan federal court. At its simplest, Libor is an acronym for London Interbank Offered Rate. It is an internationally used standard set each morning based on what global banks operating in London say they would expect to pay for short-term loans from each other in various monetary currencies. “It’s embedded in the wiring of our financial system,” Gary Gensler, chairman of the Commodity Futures Trading Commission, told a Feb. 14 hearing by the Senate banking committee. Mortgages, car loans, student loans, credit card rates and commercial loans are often pegged to Libor. So are complex financial derivatives contracts. 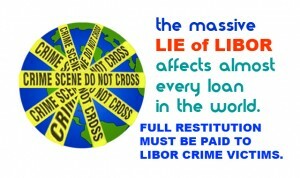 The Bank for International Settlements estimated that outstanding interest rate contracts linked to Libor were valued at about $450 trillion in the second half of 2009. 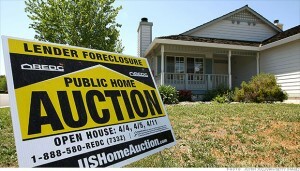 Nearly all 2008 subprime adjustable rate mortgages in the U.S. were similarly pegged to Libor, according to a Federal Reserve Bank of Cleveland report. For instance, someone taking a mortgage on a new home would be required to pay interest costs a certain percentage above Libor. The Libor-setting process has been criticized because it is based on estimates submitted by small groups of bankers, rather than on a known and transparent financial standard. Federal court records show how and why the rate can be improperly manipulated. Demonstrator smashes window at RBS branch in London. Royal Bank of Scotland, for instance, acknowledged in the deferred prosecution agreement that from 2006 to 2010 some of its traders “requested and obtained Libor submissions that benefited their trading positions” rather than the accurate rate. That type of strategy allegedly enabled Hayes to increase trading profits for him and the banks where he worked. He made trading bets on derivatives tied to the yen Libor, and allegedly was able to generate profits from minuscule rate changes. While working at UBS in 2008, Hayes allegedly pressed a junior employee who submitted the bank’s daily yen Libor estimate to submit a falsely high rate. The employee complied, resulting in $793,000 in extra profit for Hayes and the bank on one trading day, according to the court complaint against the former trader. 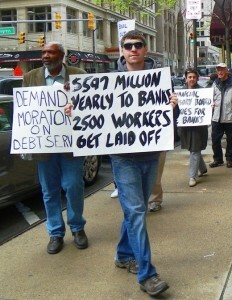 Marchers proceed from Bank of America headquarters in Detroit to the Coleman A. Young Municipal Center May 9, 2012. “mate yur getting bloody good at this libor game … think of me when yur on yur yacht in monaco won’t you,” a broker messaged Hayes in a June 2009 electronic chat, according to the complaint filed against Hayes and the UBS court settlement filed in December. Hayes generated about $40 million in profits for the bank in 2007, $80 million in 2008 and $116 million during the first nine months of 2009, the settlement shows. Some banks may have had at least one other rationale for the alleged manipulation. 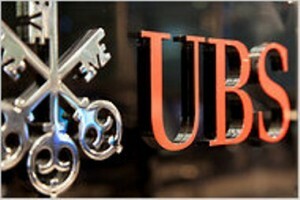 Beginning around 2007, UBS told employees who submitted the bank’s daily Libor estimates to “err on the low side” because high rates could create the impression the Swiss giant “had a credit problem,” a federal court complaint charged. Of course, if traders and banks profited from illegal Libor-rigging conspiracies, some counterparties paying mortgages and other loans may have lost by being forced to pay artificially high rates pegged to the benchmark. 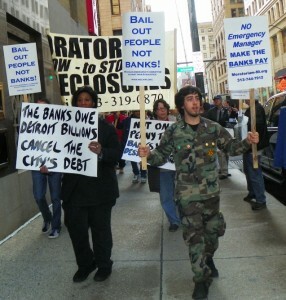 BOA demonstration in Detroit May 9, 2012. A 2011 lawsuit filed by Baltimore officials alleged that the city had purchased tens of millions of dollars in complex derivative contracts known as interest rate swaps from eight major banks. 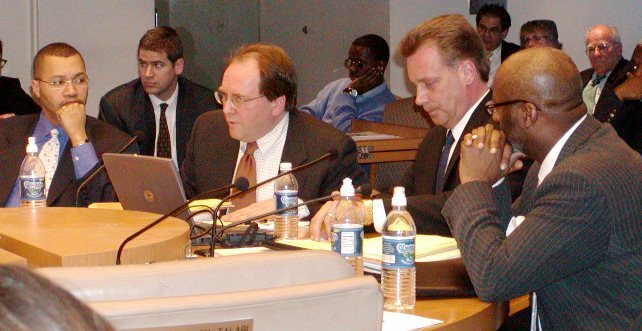 The city “was injured” financially because those contracts were tied to Libor rates tainted by suspected rigging, the lawsuit alleged. Similarly, Mobile, Ala., homeowner Annie Bell Adams and other nearby residents alleged in a 2012 federal lawsuit that they were financial victims of suspected Libor collusion by numerous major banks. “It was not only foreseeable but obvious that by manipulating the (U.S. dollar) Libor rate … the defendants were able to maximize the value of their holdings and thereby unjustly enrich themselves to the detriment of the plaintiffs,” the putative class-action lawsuit charged. In his Senate testimony, Gensler said the manipulation confirmed to date by the ongoing investigations underlines the need for a stronger, transparent benchmark. Thank you for digging in to show the facts about LIBOR rigging scandal and how the LIBOR affects Americans in our regular purchase activities. There are so many degrees of separation that many don’t think these stories pertain to their everyday lives.